Boat speeds rocketed on Monday as the Volvo Ocean Race fleet flirted with Tropical Storm Alberto, the weather system that could hold the key to a rapid, unorthodox transatlantic crossing. Fleet-wide speeds were into the high 20s as the teams careered north-east towards the tropical storm, the first of the 2012 hurricane season, and the key to early success in the 3,590-mile sprint to Lisbon, Portugal. 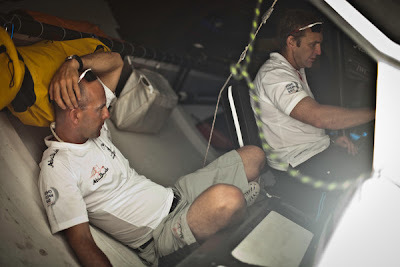 At its centre, Alberto holds gale-force winds of 35 knots but the teams will likely try to exploit the lesser, more favourable breeze further from the eye of the storm that could catapult them across the Atlantic. 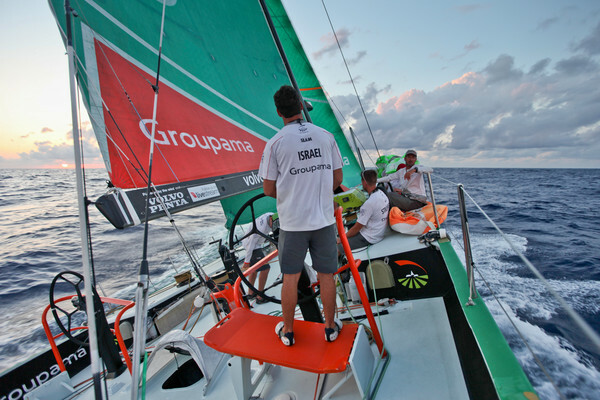 Groupama sailing team were leading the charge at 1300 UTC having gybed to the north-east first, with an eight-mile advantage of over PUMA Ocean Racing powered by BERG as less than 20 miles split the fleet. 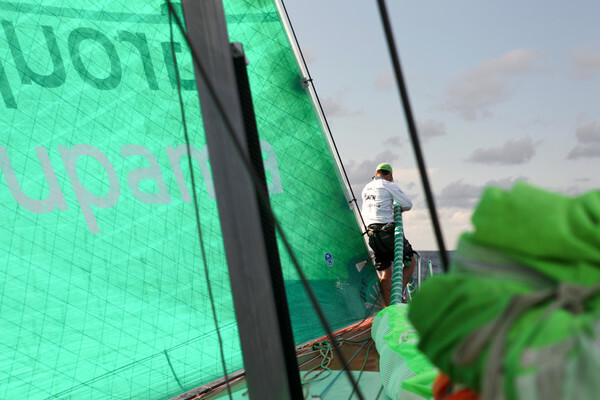 "There have been a few key moments so far and we’ve been in a position to dictate where we wanted to go, and the fleet are doing a similar thing behind us," Groupama watch captain Damian Foxall said. Just 14 points separate leaders Team Telefónica from fourth-placed PUMA in the overall standings and with 30 points on offer to the winners of each of the remaining three offshore legs that lead could easily be swallowed up. 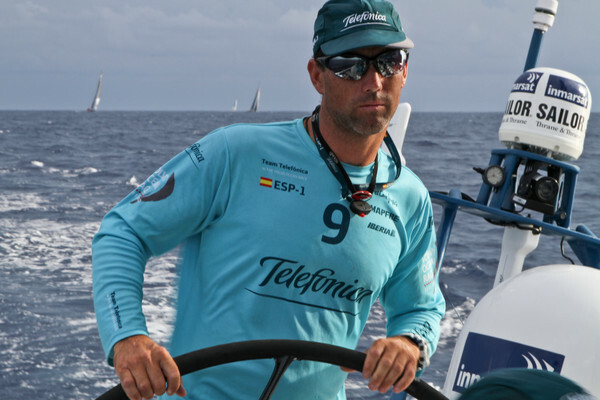 Telefónica finished off the podium for the first time in an offshore leg in the race into Miami and made matters worse by taking last place in Saturday’s PORTMIAMI In-Port Race. 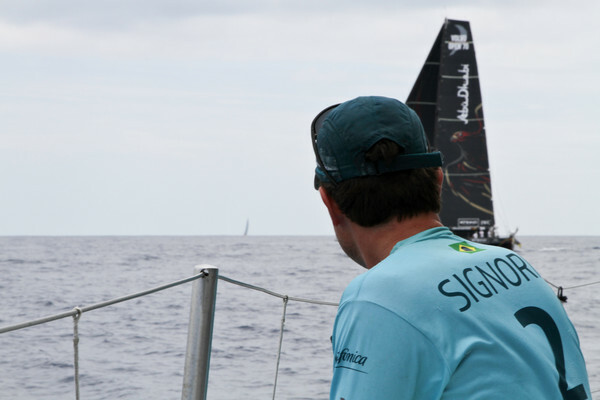 Still, MCM Diego Fructuoso said team spirit was good as they bid to hold off Groupama, seven points behind them in second, as well as CAMPER with Emirates Tea New Zealand, a further six points back, and PUMA, just a point behind them. “The atmosphere is really good, which is not easy after the recent results,” said Fructuoso. “We're going to give it everything in this leg, as we want to arrive in Lisbon in first place and show we haven't forgotten how to win." After winning the PORTMIAMI In-Port Race and leading around the inshore section of the Leg 7 start, Abu Dhabi Ocean Racing were looking strong until a large plastic bag wrapped around their keel hampered progress. 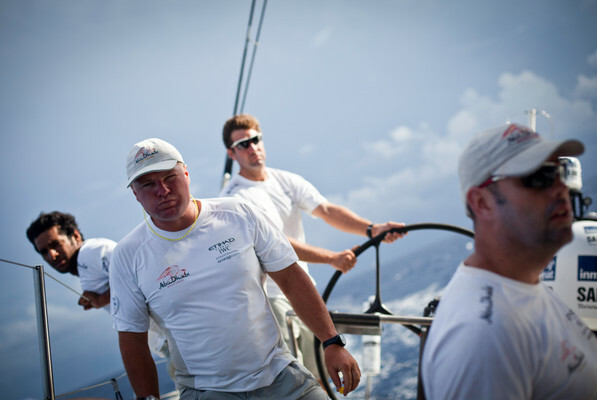 But skipper Ian Walker said they were well matched against PUMA and CAMPER with Emirates Team New Zealand and enjoying the tussle for third. “They are both right next to us,” Walker said. 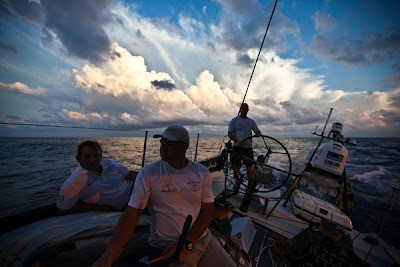 “I was just on deck and we can see them clearly. 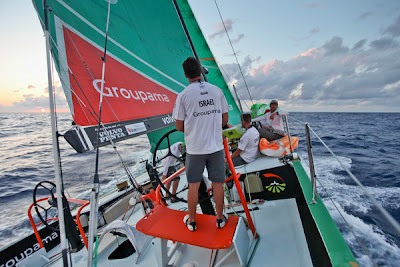 Volvo Ocean Race weather expert Gonzalo Infante said although the North Atlantic weather systems are unstable, the option to ‘cut the corner’ and sail a non-traditional route almost in a straight line to Lisbon could be opening up to the teams. “A new low pressure system forming further north is set to swallow up Tropical Storm Alberto and force the huge high pressure system that blocks the path to Lisbon to the east,” he said.